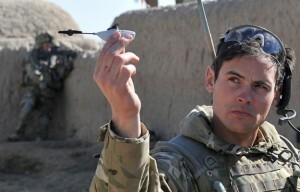 The world’s smallest drone is already in use in Afghanistan and many people wouldn’t be able to see if they knew that they were looking at. The drone is so small it could fit in the palm of your hand. The Black Hornet Nano Unmanned Aircraft System from Prox Dynamics, measures just 4 inches long, 1 inch high and has only a 4 inch rotor span. Built to fly up to a 1000 meters from its handler, the drone has been designed to handle the rugged nature of the combat environment. With its onboard digital camera the Black Hornet can take both motion and still images. It has been in use by the British Brigade Reconnaissance Force and has become so popular within the British soldiers that the British military has already placed a $31.3 million dollar order for 160 units. 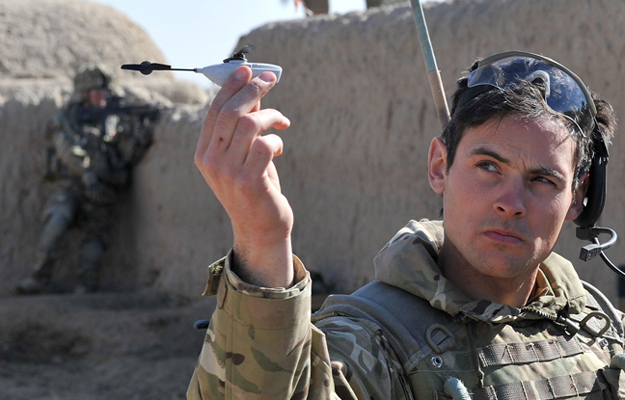 As the new face of warfare, drones this small will quickly become more commonplace due to their light weight, reliability and lifesaving capacity.